The Township of Weehawken in Hudson County was formed on March 15, 1859 from portions of Hoboken and North Bergen. 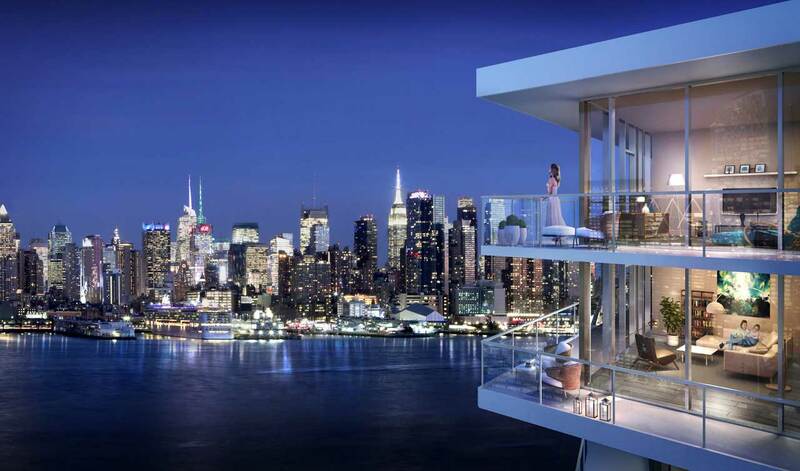 Encompassing 1.5 square miles, Weehawken is situated on the western shore of the Hudson River along the southern end of the New Jersey Palisades and across from Midtown Manhattan. It also is the location of the western terminus of the Lincoln Tunnel. At Weehawken’s southeastern corner is Weehawken Cove, which defines Weehawken’s border with Hoboken; the township’s northern boundary is shared with West New York. Geographically, Weehawken has several distinct neighborhoods, including Downtown, The Heights, Uptown and The Waterfront, which since the 1990s has been developed for transportation, commercial, recreational and residential uses. Several major roadways, including I-495, the New Jersey Turnpike and Routes 1, 3 and 9, keep residents accessible to points of interest throughout the tri-state area. Significant for its rich history, Weehawken was utilized during the Revolutionary War as a lookout for the patriots to check on the British, who were situated in New York and controlled the surrounding waterways. The township also earned its place in history as the site of the Aaron Burr-Alexander Hamilton duel, which took place on July 11, 1804. The Alexander Hamilton Memorial — constructed in 1806 and located in Hamilton Park — stands as an historical marker of this famous event. Opportunities for shopping and dining can be found along Park Avenue, the township’s main commercial thoroughfare. Secaucus shopping centers, including the Secaucus Outlets and The Plaza at Harmon Meadow, are about 2 miles from Weehawken, further expanding residents’ retail and restaurant options. Recreational amenities in Weehawken are diverse and include parks, playgrounds and athletic facilities. Notable among these are Weehawken’s Waterfront Park and Recreation Center, located along the banks of the Hudson River; Weehawken Stadium/Louis A. Ferullo Field, a full-size football and baseball turf field; and Weehawken’s Dog Run, a fenced-in gravel area for the township’s four-legged citizens. The highly regarded Weehawken School District serves public school students in prekindergarten through 12th grade at two grammar schools and Weehawken High School. Options for higher education in Hudson County include Hudson County Community College, New Jersey City University and Saint Peters University, all located in Jersey City; and Stevens Institute of Technology in Hoboken.